This course really is the full package, taking you from complete novice, with little or no experience, all the way to the prestigious, commercially endorsed, Yachtmaster Offshore along with a host of other qualifications. 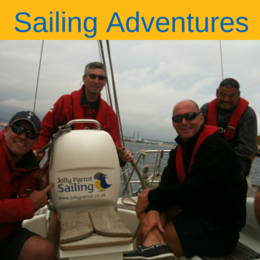 If you are looking to become a professional skipper this is the course for you. Although no prior experience is required, many people who take this option already know that they want a career in the industry. This course offers the very best value for money and is the fastest route to gaining the complete, much sought after, commercially endorsable, professional RYA/ MCA Yachtmaster Offshore Qualification. What's covered on this course? In this first stage you'll get to know the yacht and learn how to be a useful member of crew on board. Your instructor will provide you with a basic knowledge of how things work. You'll get a chance to practice some rope work, helm the boat and learn about the equipment that helps to keep you safe. You'll also be introduced to important 'rules of the road' and man overboard recovery techniques. After five days on board you'll have first-hand experience of how a yacht is managed and you'll be ready to start learning how to take charge yourself. 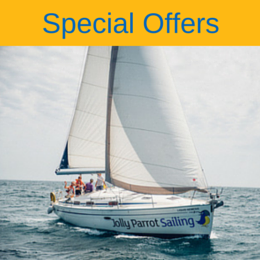 With a taste for sailing, you'll then spend four days in our Gibraltar classroom. You'll cover the basics of navigation – including tidal calculations, chart reading and navigation, collision regulations, meteorology and electronic navigational aids. At the end of the course, you'll be well prepared to take the RYA Day Skipper theory tests. After completing the theory element, you'll re-join a yacht to put it all into practice over the next five days. Under the guidance of our RYA instructor, you'll take on all aspects of skippering the yacht – including sail trim, stern-to mooring, pilotage, passage planning, anchoring and safety management on board. As part of the course, you'll have the chance to develop your leadership skills by taking charge of a short passage. But don't worry, our instructor will remain on hand to give advice and encouragement and ensure your safety. As part of the Yachtmaster Coastal module you will complete four short courses. RYA Sea Survival will teach you the basics of abandon ship procedures, survival management and the operation of all life saving appliances on board and is also a requirement for commercial endorsement. RYA Diesel Engine course gives you an awareness of the main systems of a marine engine and routine maintenance measure to prevent mechanical breakdown. The RYA VHF (SRC) course is for people who wish to use a hand held or fixed VHF radio and is a requirement for commercial endorsement. The RYA first aid course aims to give a working knowledge of basic first aid board a yacht and is also a requirement for commercial endorsement. In the Skipper enhancement section of your course you will begin to learn the intricacies of advanced sail trim and the setting and use of storm sails, asymmetric and symmetric spinnakers. We will also be focusing on emergency procedures such as man overboard and engine / power failure as well as power handling in marinas. Also included in the skipper enhancement section is boat husbandry where you will learn the finer points of maintaining a yacht to a high standard to ensure to continuing safety of the crew on board. This is an essential skill for those looking to become a professional skipper. You will be taught the full Yachtmaster Coastal theory syllabus. This will involve advanced navigation and meteorology and will include appropriate management of all aspects of your yacht on short and long passages. The theory element will culminate in an examination to assess your navigational ability. The final week of the course will be taken up with your prep week and exam. During this week you will be put through your paces, both theoretical and practical, by one of our Yachtmaster instructors. The instructor will ensure that you are competent in all aspects of the syllabus prior to your exam at the end of the week. The exam will be conducted on board the same yacht you have been training on but will be with an external examiner. On successful completion of this exam you will have achieved all the elements to be a fully qualified, commercially endorsed Yachtmaster Coastal. You will spend a good amount of time completing your long distance passages that are required for the Yachtmaster Offshore qualification. These will take place in various locations, some will be in UK / Northern European waters and can be anywhere between UK and the Balearic islands. Now that you have achieved the level of RYA/ MCA Yachtmaster Coastal it is time to take off the training wings and be let loose under your own steam. During the self skippering phase you will be skippering your own boat and running you own crew in familiar waters so that you can really put into practice everything you have learnt so far. This will give you the opportunity to really build your confidence and ability in preparation for your final exam. You will spend time with one of our senior instructors learning the more advanced elements of sail trim and navigation that are not taught as standard in any of the previous elements. What you will learn here will help to prepare you for the world of professional skippers where a greater depth of knowledge is a huge advantage. It will also give to the level of knowledge needed to pass the final exam. This week will be similar in setup to the Yachtmaster coastal prep week where you will be put through your paces both practically and theoretically to prepare you for what will be asked of you in the exam. You will also utilise this week to become familiar with the area the exam will be conducted and to become adept at all of the maneuvers that you may be asked to do in the exam. With the above qualifications you will have everything you need to send off for your International Certificate of Competentence (ICC) and to commercially endorse your Yachtmaster Offshore. ENG1 Medical examination and certificate - This is a requirement for commercial endorsement. 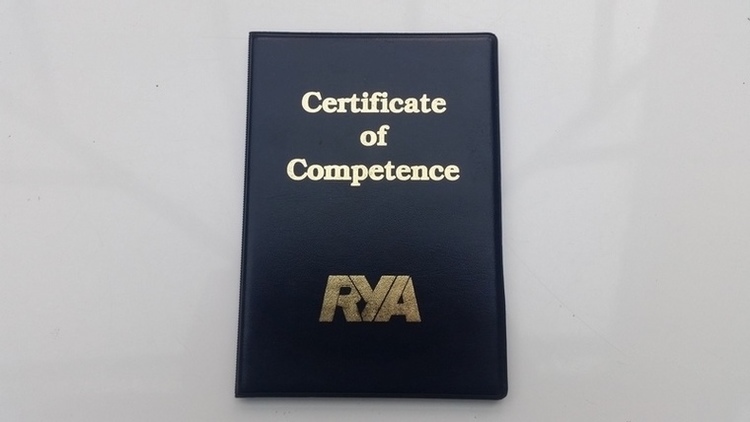 MCA External examinations for Yachtmaster Coastal and Offshore. Being a fully qualified, commercially endorsed, Yachtmaster Offshore will open up many avenues for professional work within this industry including charter skipper, flotilla skipper, delivery skipper and many other options in the superyacht industry. Or now that you have reached the final milestone of the fastrack program the next step up on the RYA qualification ladder RYA Yachtmaster Ocean. Alternatively there is the RYA Cruising Instructor qualification which is the first step on the instructor qualification ladder.